Gettysburg is a town forever etched in history–“the most famous small town in America”–and our hallowed battlefields draw millions of visitors ever year. The absolute best way to experience the battlefields, according to many in the tourism industry, is with a Licensed Battlefield Guide. 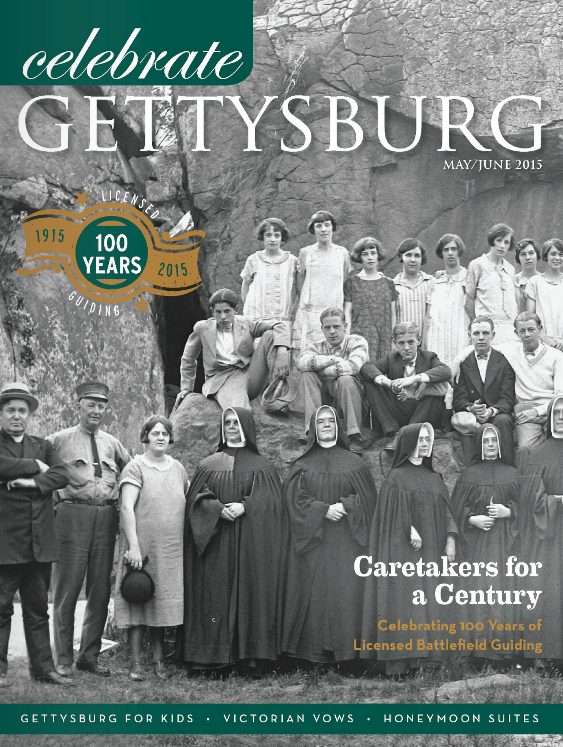 This year, 2015, marks the 100th anniversary of this very elite group of men and women who literally keep history alive, recounting the many interwoven stories that collectively tell the story of the Battle of Gettysburg. 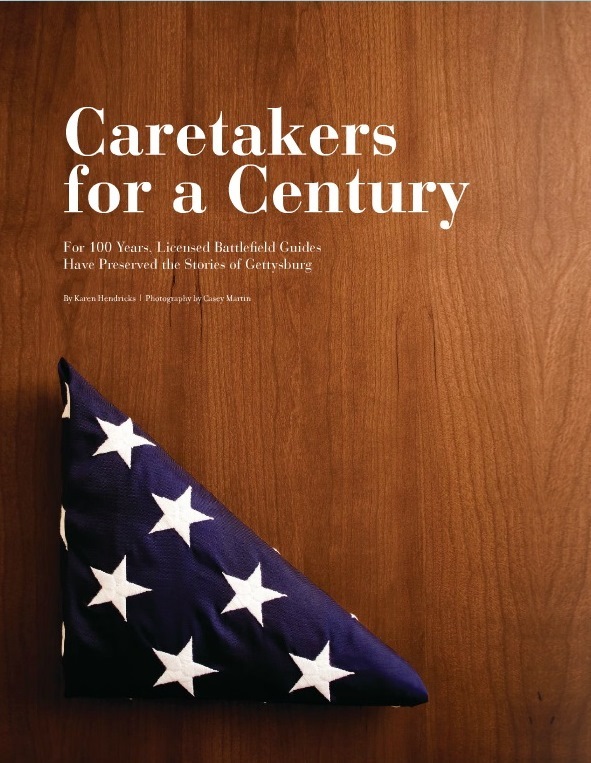 It was my great honor to meet and interview several Licensed Battlefield Guides to find out more about their special calling, becoming “Caretakers for a Century.” This article is published in Celebrate Gettysburg magazine, May/June 2015. About 560 people have become licensed battlefield guides since 1915. Joining their elite ranks requires dedication in many ways. The first step is… Click here for How to Become a Licensed Battlefield Guide, published on the Celebrate Gettysburg blog. 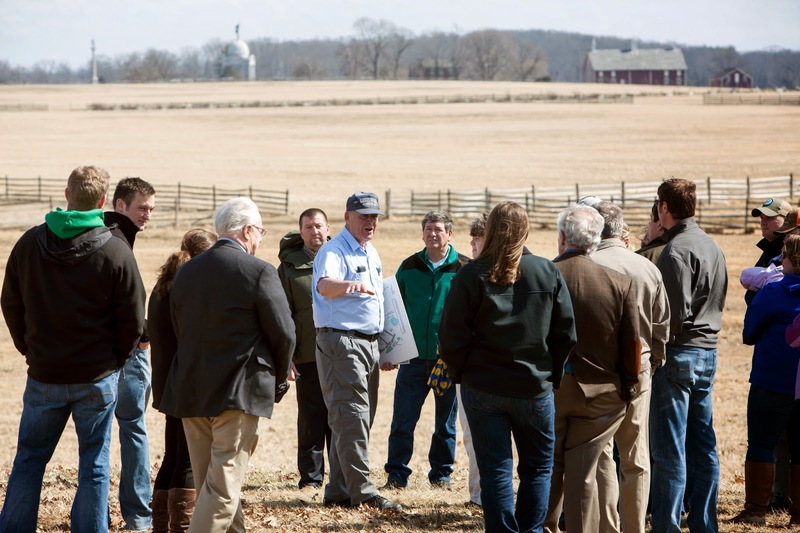 Since 2007, more than 100 clients have retraced the steps of officers across the Gettysburg Battlefield, studying movements and decisions made in 1863 in order to gain 21st-century insights into leadership and communication styles.“The battlefield is an experiential place,” explains Sue Boardman… Click here to read In the Footsteps of Leaders: The Gettysburg Foundation Leadership Program, published on the Celebrate Gettysburg blog. Sue Boardman became a licensed battlefield guide thanks to a passion for Civil War history ignited by discovering and reading a diary written by Michael Schroyer, who served in Co. G, 147th PA Volunteers, based in her hometown area of Snyder County… Click here for The Battle of Gettysburg: Through the Eyes of Michael Schroyer, published on the Celebrate Gettysburg blog. 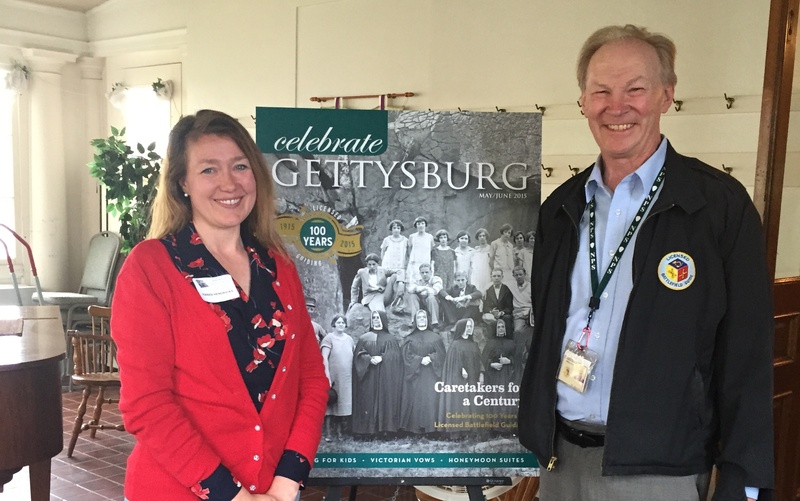 Behind the Cover: It was my honor to celebrate the current issue’s release with Joe Mieczkowski, President of the Gettysburg Association of Licensed Battlefield Guides, who was an instrumental source for this cover story! 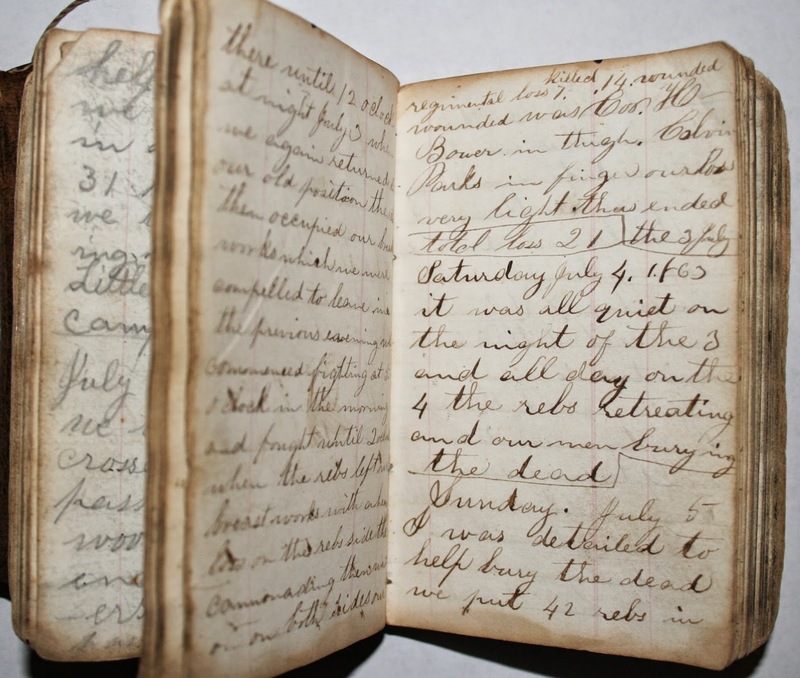 This entry was posted in Freelance Writing and tagged Battle of Gettysburg, Celebrate Gettysburg magazine, Joe Mieczkowski, Licensed Battlefield Guides, Michael Schroyer, Sue Boardman by Karen Hendricks. Bookmark the permalink.